Inter are reportedly plotting a move for Man Utd stalwart Ashley Young in the summer, if he fails to reach an agreement on a contract extension with the Red Devils. The 33-year-old has continued to play a key role for United so far this season, making 19 appearances in all competitions. His versatility has seen him deployed on both sides of the backline, while he has also played in a more advanced position at times this season under former boss Jose Mourinho. With his importance not diminishing under Ole Gunnar Solskjaer thus far, it seems as though he will still be heavily relied upon moving forward, but with his current contract set to expire at the end of the season, it has raised concerns over his future at Old Trafford. As reported by The Sun, it’s claimed that Inter could try to prise him away with a two-year contract offer, and he is now free to discuss terms with other clubs with the January transfer window open for business. It seems unlikely that United won’t try to reach a new agreement on personal terms to extend Young’s stay at the club though, given that he remains an important figure for them. Nevertheless, with the threat of losing him growing the closer we get to the summer and with Inter reportedly willing to offer him a lengthy deal, they may be well advised to move quickly to wrap up a deal before other clubs turn his head and convince him to start a new challenge elsewhere. 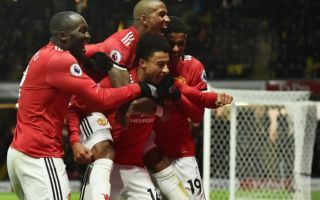 The England international has been with Man Utd since 2011 after arriving from Aston Villa, and he has gone on to make 221 appearances for the club while winning a Premier League title, an FA Cup, League Cup and the Europa League.